This is a walnut and white ash bench, and just the second piece of furniture I have ever built. I believe it turned out wonderfully, though feedback is greatly appreciated. Magistrate was the second piece of furniture I created during the Spring of 2009. I pushed the boundaries and limitations of both the material and machines used to build it. The simple, elegant design is given it's beauty by the oiled wood and the detailing. Magistrate was shown in the Ball State University Women's show in the Spring of 2010. 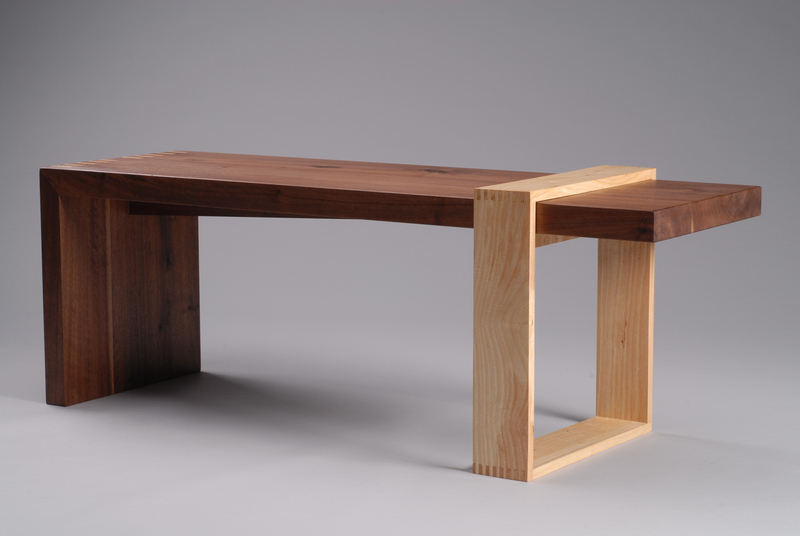 This view highlights the joinery of the white ash box, and gives a glimpse at the underlying support of the bench. The false finger joints, are white ash. They give the mitered edge greater strength and stability, which is a good thing, otherwise it probably wouldn't hold together. 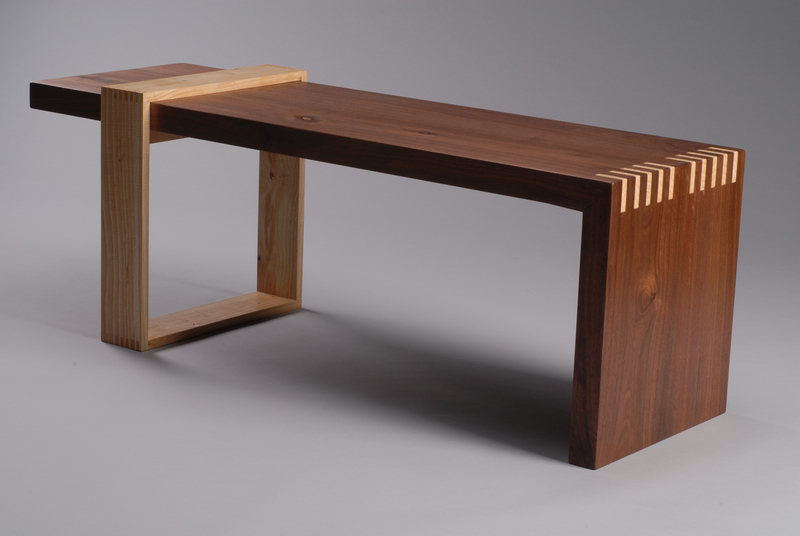 I also enjoy this angle of viewing because it shows off the beautiful walnut.